The optional Paper Dispenser mounts to the head end of the table. 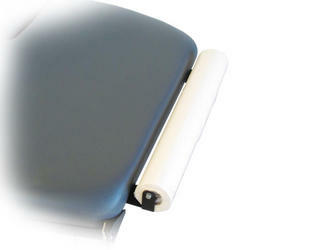 The dispenser is manufactured to hold a roll of hygienic table paper. Includes cutter strap.